New Jersey State Senator Ray Lesniak is pressuring Governor Chris Christie to address the lagging approval of PokerStars in the Garden State. Serving in the NJ State Senate for over 30 years, Lesniak is likely aware that the governor has no legal authority to approve or reject PokerStars’ application to offer online gambling in the state. In fact, if Christie were to interfere or influence the DGE’s application procedure, it would be illegal. Opponents to Christie claim the DGE’s sluggish approach on PokerStars is nothing more than politics. Considered by many to be a GOP candidate for president in 2016, Christie’s close ties to Las Vegas magnate Sheldon Adelson have some wondering whether the governor is delaying PokerStars’ entry into the United States until after the election. Adelson is the founder, chairman, and CEO of the Sands Corporation, and currently ranks as the 10th richest person on the planet. 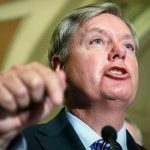 A longtime contributor to the Republican Party, but also an outspoken opponent to online gambling, Adelson’s favor is being courted by many possible suitors for the GOP presidential ticket who will want to be in the billionaire’s good graces come campaign time, and Christie is no exception to that pool. Many theories continue to circulate as to the drawn-out processing of PokerStars for New Jersey’s online poker market. Not only would it bring the biggest cardroom in the world to the Garden State, it would also be PokerStars’ first entry into the United States as a whole. The DGE has gained a notorious reputation for lengthy testing of Internet casino products, and several authorized site launches in New Jersey have experienced software issues due to the Gaming Enforcement’s strict regulations. It could be that PokerStars is simply delaying its own introduction until proper approvals have been met. PokerStars should still be expected to make its entry in America before the close of the year. 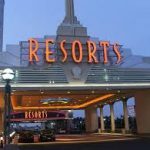 At the Mobile & Tablet Gambling Summit in Atlantic City earlier in the week, Lesniak said during his keynote address that PokerStars must be allowed to compete in New Jersey. As the current law stands, Internet gaming sites can only offer real-money gambling to those over 21 who are in New Jersey. In addition, the casinos must operate from New Jersey in connection with a land-based casino, a stipulation PokerStars cannot currently satisfy. Regardless of the unidentified pushbacks in bringing PokerStars to the Garden State, all parties involved have great financial interest in resolving their differences and moving forward. 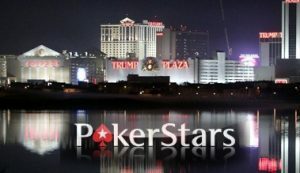 PokerStars wont be entering the USA any time soon. Theres just way too much push back as of right now.In a couple years …possibly. Just makes everyone lose faith in their politicians.